You can see California in flames—without water. All around the world we have these problems nowadays. Cop21 in Paris (the 2015 United Nations Climate Change Conference) can be a turning point for putting Laudato Si into practice. It has to be a success! There are countries in the Pacific that will disappear if we fail to address climate change. This is not just a scientific issue. It’s about life. It’s about being just with creation. It is about the human person. We need a revolution in ecology. Each of us has to take on our co-responsibility for our common home. We cannot be closed down within our own borders. We are all citizens of earth. The market is not a god! When you adore different gods (idols), you become blind to reality. Politics is about serving the common good, not a party or narrow interests. And it can’t just be about the next election. Laudato Si may be the new Rerum Novarum. We pastors see the reality of poverty that those looking at statistics do not; we see it in the concrete faces of the poor. We are called to: see, judge, and act. Is Pope Francis pessimistic? Reality is what it is. But there remains hope rooted in faith…we are headed to the full realization in Christ. You can read more about the event, which also featured Edith Brown Weiss, Francis Cabell Brown Professor of International Law, and John Podesta, former Counselor to President Barack Obama on climate change and energy policy, here. 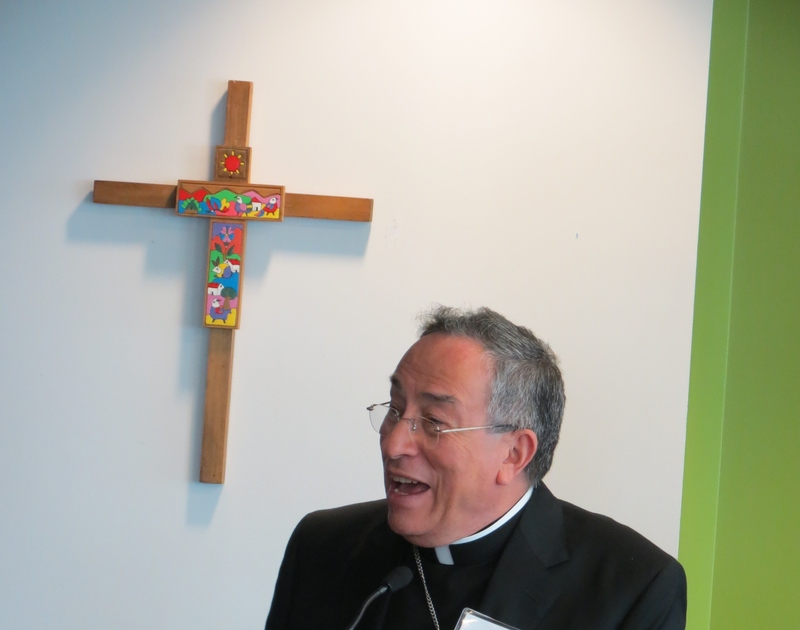 This entry was posted in Blog and tagged Cardinal Óscar Andrés Rodríguez Maradiaga, Climate Change, Environment. Bookmark the permalink.